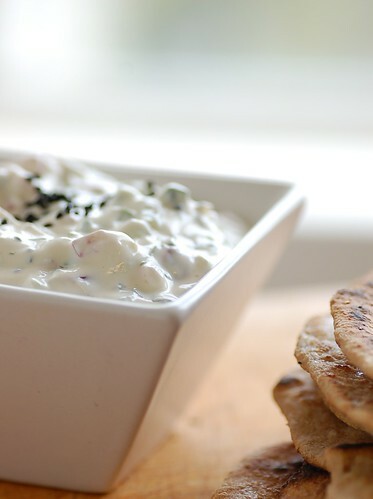 Quick & simple recipe to make a healthy Raita. "What should I cook to go with rice today, Ma?" asked Hosh. "Teach me something nice, quick, simple, healthy and cheap." "So, you want five dishes to go with your rice?" laughed Isha. "Aww, Ma," groaned Hosh. "I want a five-in-one. And to make matters worse, we have no veges, fish, meat or eggs in the fridge. And, I'm in no mood to eat beans or pulses." "You don't ask for much, do you?" Isha was still laughing. "Quite unlike your father. He eats whatever I cook." "But, Ma," objected Hosh. "You cook everything so well. And your pantry is usually well stocked. I won't have that luxury when I'm flatting away, and I'm still learning to cook." "We'll make do with what we've got then," said Isha. "Tell me, what is there in our fridge today?" "Ok," said Isha. "With some salt added to taste, these should help us make us a yummy, healthy Raita (yoghurt sauce)." "It will go wonderfully well with rice, is cheap but nice, and has a quick and simple recipe." They washed all the organic produce under running water. Then peeling the cucumber, they cut it in half and scooped out the seeds with a teaspoon. She spoke as she coarsely grated the cucumber and carrot into a bowl. “You don't have to scoop out the cucumber seeds," said Isha, “or drain out the liquid from the grated vegetables if you don't want to. For a European flavor, you can use Celery instead of Cucumber, and Italian Parsley instead of Coriander leaves." She sprinkled half a teaspoon of salt on the grated veges and let the mixture sit for 5-6 minutes. Meanwhile, Hosh wrote down the Ingredients List and Cooking Recipe for his future reference, and Isha filled him in on the other basics. “Cucumber, onion, tomatoes, boiled potatoes, or combinations thereof, are typically used as Raita ingredients. Typically used fruits are grated carrots, or diced pineapple, mango, apple, pear or papaya. Raw ginger and garlic pastes, chili pastes, and sometimes mustard pastes can also be mixed in Raita to enrich its flavor." "Raita is a very popular dish in the Indian sub-continent. Different cultures can make it differently just by seasoning yogurt with coriander, cumin, mint, cayenne pepper, and other herbs and spices. Some even add chili to make it hot, even though Raita has traditionally been used to cool the palate when eating spicy dishes." "In Northern Indian sub-continent including Pakistan, a popular variety is boondi raita. Tiny salted and spicy balls of fried gram (chickpea) flour are mixed in the yoghurt (dahi) and served as a side dish with vegetarian and non-vegetarian preparations, especially Kebabs." "In Southern Indian states like Kerala and Tamil Nadu, traditional raita is called Pachadi. Some states also make it by seasoning yoghurt with a teaspoon of cumin seeds (Jira) or black mustard seeds (Rai) fried in a teaspoon of Oil, before mixing it in with minced raw vegetables or fruits." She drained off the accumulated liquid from the grated vege bowl. The grated vegetables were then mixed with yoghurt and mint and stirred well. She recommended covering and refrigerating the mixture for an hour and garnishing it with coriander leaves before serving it in small dishes for best results.